I wish to carry out a free test of the EasyForYou E-Commerce. The Lite Version for invoicing is FREE. Why EasyForYou? Because the business management, inventory management, inventory and invoicing Lite version will allow you to use the software "Full-Options" for a demo period. This allows You to evaluate the different packages (see price-list). Database management for your customers. (*) The downloadable Invoice management version is free. Please consult our price list to distinguish in detail between those modules which are chargeable and those which are free. but even at the end of the trial period your documents stay available. For small companies, independent craftsmen and, a simple and user-friendly software to encode your price quotations, estimates, orders, invoices, cases etc. Transfer of a document towards another document in a click. Input All your documents without having to create the products beforehand. Only one click to find the customers who owe you money. Do you want to discover the new inventory management and billing application for mobile phone or tablet? Many parameter settings (interests, dunning charges...) are possible for three levels of reminder. 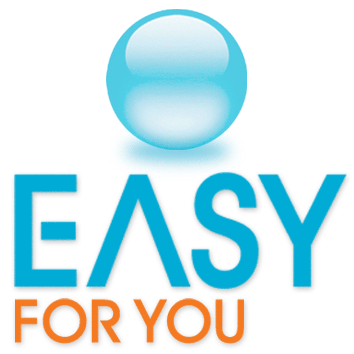 "Easy For You" formats and sends its documents by e-mail (HTML or PDF). With a simple click "Easy For You" converts any document (orders, invoices, price-offers,…) into PDF or HTML and sends it by E-mail to your collaborators, customers, or suppliers. Insert your logo (JPG, GIF,...) in All your documents. "Easy For You" is entirely based on the Client-Server system (SQL - Mysql or Access), which gives you complete control from anywhere in the world, in a standard internet connection. Thanks to the update, you always have of the last corrective measures, the new functionality's in perfect conformity with the last technological developments and the adaptations in conformity with the last legal provisions. For mechanics, it is possible to automatically add chassis numbers, plate numbers and other variables on the documents. With the sale as for the purchases, the input of the product can be carried out using a laser scanner (codes bars). As of reception of the goods coming from your supplier, during the encoding of the quantity, EasyForYou show the list of customers having ordered specimens of the delivered product. At This level, it is possible for you to allot the quantities for each open customer order. After validation, EasyForYou automatically generates the deliveries notes or invoices (at your choice) and automatically encloses the entirely delivered orders. How do you install the software in a network ?